Every day when young Steven Litt came home from school, he heard the chink-chink-chink of his mother's chipping away at stone in her art studio. “We had to be careful about wiping our feet not to track marble dust all over the house,” he remembered. Growing up with art—his mother was a sculptor and a grandmother was a watercolorist—Litt was on track to become an artist. He studied life drawing every summer in high school. At the prestigious Skowhegan summer art program in Maine, he won first prize for his painting in 1977. Litt's decision to pursue journalism instead of painting has made him a major influence in the realms of art, architecture and city planning. As art and architecture critic at the Plain Dealer in Cleveland since 1981, Litt has been called many things: a thought leader, a resource for the education of young architects, a persistent voice for design quality and a catalyst of Greater Cleveland's increased awareness of the importance its built environment. “Architecture is a very social art, and untangling the connections between money and power and politics and how those things are revealed in a finished product is absolutely fascinating,” Litt said of his work. He regularly opens the eyes of the newspaper reading public to political, cultural and artistic issues that they might otherwise have no occasion or time to ponder. “I think Cleveland is a great city that needs these conversations,” Litt asserted. “I am appalled by some of the lost opportunities. I always think we can do better." At his first newspaper job, whenever he wrote about art, his bosses seemed surprised. “My editors said, ‘Hey Litt, you really know what you’re talking about.' 'Well, I should,'” he would respond. 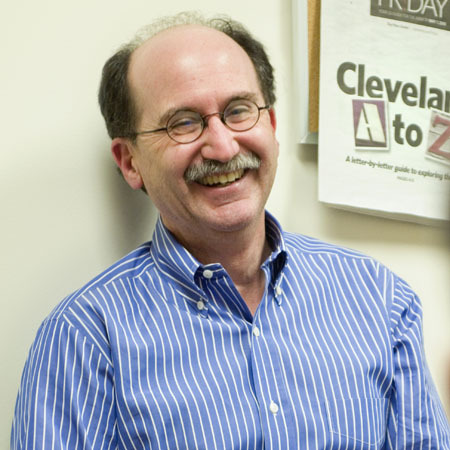 After a stint at the News and Observer in Raleigh, North Carolina, he chose to come to Cleveland to be The Plain Dealer’s art and architecture critic because the city had the best combination of a great art museum and a solid newspaper. “I probably would not have come to Cleveland had it not been for the Cleveland Museum of Art,” he admitted. In fact, his coverage of the Cleveland Museum of Art is among his proudest accomplishments.